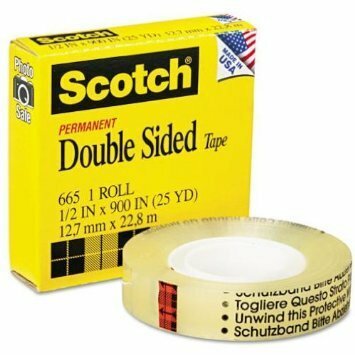 Use this double-sided tape as a quick and efficient, no-mess alternative to glue for light duty attaching and mounting tasks. The tape features permanent adhesive on both sides and its linerless, long-aging design won't dry out or yellow. Plus, it's photo safe. A no-mess alternative to glue for light duty attaching and mounting tasks. Safe for color photos determined in accordance with ISO Standard 18916. Linerless, long-aging tape won't dry out or yellow. Permanent adhesive on both sides. - Photo safe.